Previously, I wrote about the newly introduced XtraPro tariff Plan, which is currently the cheapest tariff plan on MTN Network. Today, I will be leting us know another new tariff plan from MTN network.It happened that they launched another tariff plan called MTN Xtraspecial. The plan offers you a golden opportunity to make call at a flat rate of 15kobo per second, which can be on both National numbers and as well international numbers too. √ READ ALSO: Relaunched MTN Pulse tariff Plan -Make calls at 11k/sec And Get 10MB With 1GB Data..
Benefits To XtraSpecial Tariff Plan And All You Need To Know About It. ==>2. It Doesn't charge for a daily Access fee ( ₦5). ==>3. From the very first minute of any call you are making, MTN network for Xtraspecial will rate the call at 15k/s for all networks. ==>4. In conversion for 15k/sec that will be billed from any calls you are making, is in naira/minute as ( ₦9/min) So take note. ==>5. A flat rate of ₦4 is billed for SMS to all network within Nigeria. ==>6. As it stands, we are yet to confirm if there are any Free Data (MB) attached to Xtraspecial for any recharge you make on your SIM. ==>7. The plan Offers you 7days free subscription to EPL video services. 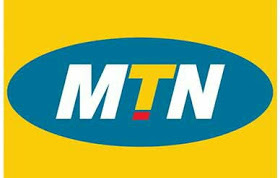 √ MUST READ: MTN To Introduce XtraVoice Bundle4U: Get 400% Airtime + Free Data. How Can I Migrate To MTN Xtraspecial Tariff Plan? Note: The migration is free of charge but for subsequent migration within a month, it is billed at ₦100 from MTN Network. But you can still migrate free into the plan from the upper month which you have not done any migration in. That's how it works, now, you can go ahead to enjoy your migrated Xtraspecial service for free.